Life comes in waves. It is all happening in sets, one right after the other or there is nothing like one big lull. I recently found this great quote that kind of sums it all up for me. And it seems to be my March mantra. Life doesn’t come in linear waves though, perfectly lined up like your favorite surf break. It comes at you from multiple sides…work, personal, health, family, friends, and so on. Their force can be groundbreaking like Teahupo’o or like little ripples on the surface, but they all have an impact. One wave that holds strong in my life is NAC. In my previous post, I mentioned I paddle outrigger canoe at the Newport Aquatic Center. This could probably be a post within itself, but it fits here, so if you know it…bare with me. In high school, all I wanted to do Sophomore year was not run track. So I heard of this little sport that was off campus but you could still get sports credit…so I went down to NAC to give paddling a try and basically never left. It was meant to be right from the get go and NAC became my home away from home and the people there have literally become my family. I met my husband that very first day, we were both 15 years old and who knew 13 years later we would be married. At that time I could only dream. But beyond that, I fell in love with the water, Hawaii and the technical sport. I can really attribute all of this to one person. Sam Couch. His wave of life looked a lot different from mine, but he would have never let you know that. He also grew up at NAC and never left, like a lot of us there, but his impact was huge (like Teahupo’o). He was the junior outrigger coach at NAC for way more years than I can remember. He is the one who taught me that I had to go out and get what I wanted and that things were not going to just come to me. He created a place that allowed kids from all walks of life feel accepted and accomplished in a sport. There are so many of us that would be in a much different place, if it were not for him. He always lead by example, because even though he lived with Cystic Fibrosis, he. always. won. And as I am sitting here not being able to hold back tears, I know, even though he is no longer with us, that he won even in his final battle. 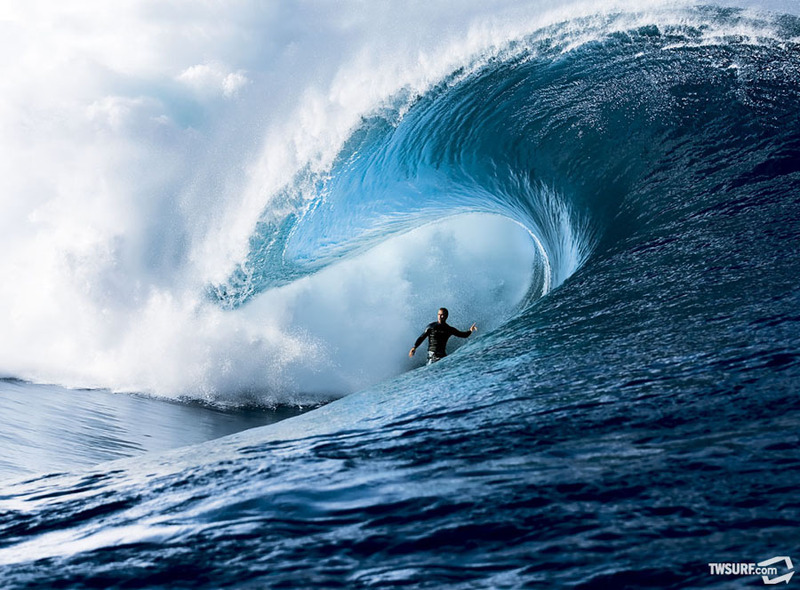 Since life is not about the final destination, and more about the journey, (all those waves!) he lived his shortened life to the fullest! Always doing everything he wanted, his way. This week marks 6 months since he left this world, but I know he is still he with us. He is still at NAC, on the water, and in the waves we go dare to ride. This wave, the one of losing him, has been a hard one for me and for a lot of us. It is one that is feltdaily. Sam was an amazing wood worker and he was just starting to sell his work. One of his pieces was, no doubt, named “The Wave.” You may have seen my posts about the logo design I did for him featuring his beautiful wave. And even though Sam was so good about not letting Cystic Fibrosis (CF) dictate how he lived his life, it was still probably the biggest wave of his life. I know more then most, but probably not even half of what he suffered, but honestly, that is how he would have wanted it. My good friend, and one of the closest people to Sam, Kelly, found Great Strides and their local Orange County CF walks that raise funds for finding a cure for CF, so naturally, we had to get a team together. She worked her magic making the NAC4Life team and when she asked me to create a design for their t-shirt contest with Sam’s wave, I said, heck yes! This design is now in the final running on the CF Foundation’s OC Chapter Facebook page, which is totally rad, but we need your help to win! If you could head over to this FB link and like “The Wave” team NAC4Life will love you forever! The one with the most likes wins the contest. We are walking on May 2nd in Dana Point Walk for Sam. And he will be with us every step of the way. He was huge into assisting in the testing of the latest treatments that have all been amazing steps toward finding a cure! But there is still a cure to be found, so if you would like to make a donation on behalf of our team, you can do that here. If you know someone who has lived, or lives, with CF you know what this disease does. If you don’t, then you can read more about CF here…they explain it so much better then I ever could! It is one that is slow, hard to watch and once it takes control it is so very hard to come back from. I can’t tell you how many times Sam came back to us. When he did actually decide to go, it was shocking, but I understood. He left on his own terms. For Sam, there is no end. He was the ocean in a drop and he will forever be riding the eternal wave…with that huge grin on his face. I can literally see it now. Happy surfing, Sam. We love you.